Apple pie and oatmeal. Two of my favourite comfort food items, especially during these colder months. 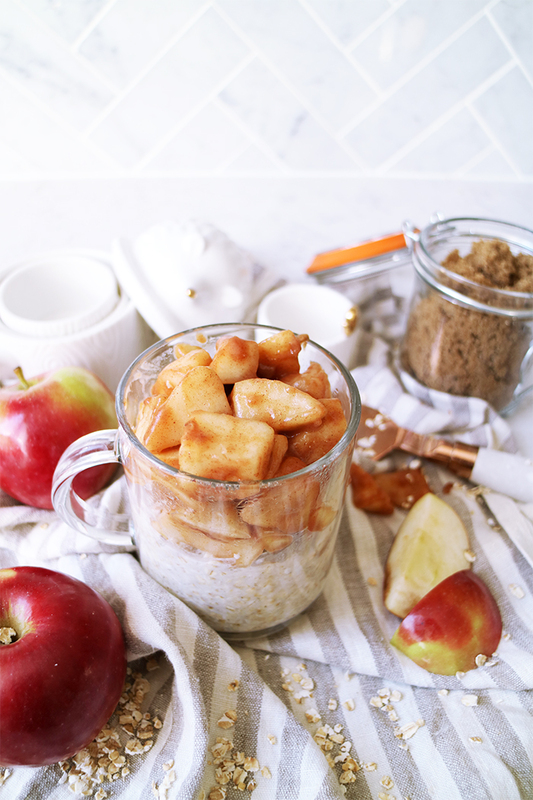 I’m always looking for fun and delicious ways to dress up a bowl of healthy oatmeal and the other day, while I was craving for a warm apple pie after dinner, it dawned on me that I can curb my dessert cravings in the morning, by combining these two delicious items! 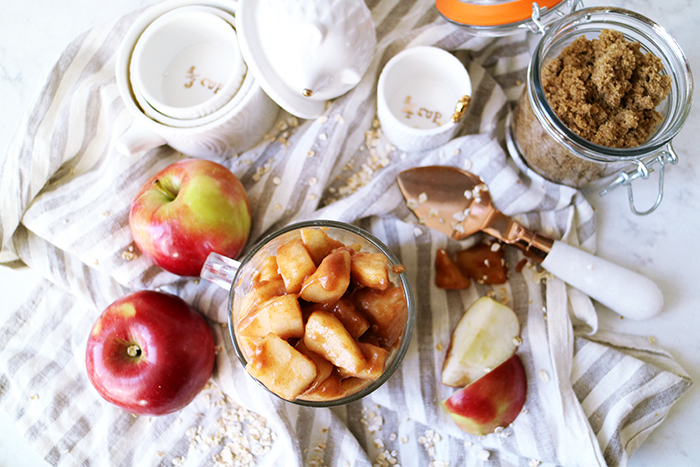 I had plenty of apples in the kitchen and luckily I also had all the ingredients needed for the apple pie filling already tucked away in the pantry – the stars were aligned! 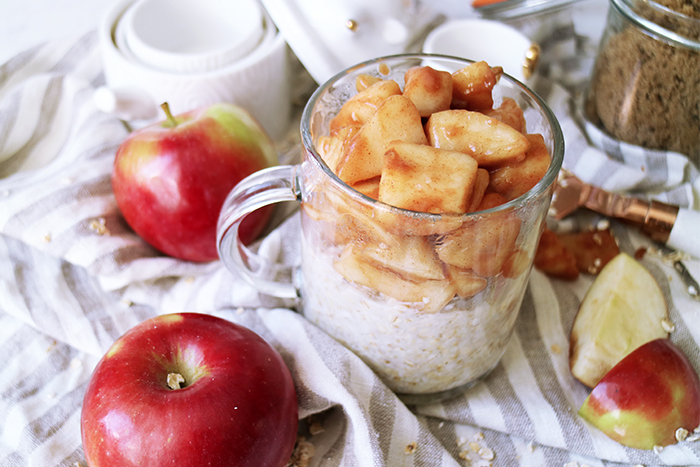 Keep reading to see how you can easily make this Warm Apple Pie Oatmeal in just minutes! Scope in desired amount of warm apple pie filling and voila! 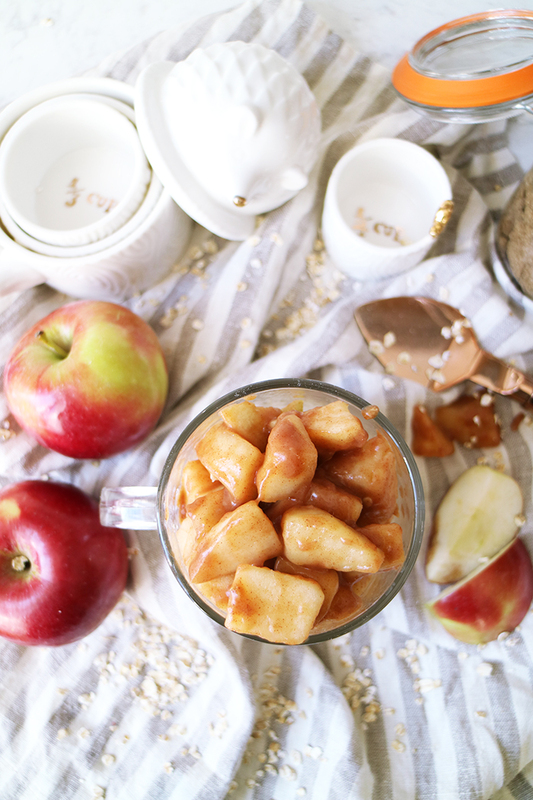 The apple pie filling can be pre-made and stored in the fridge for up to 5 days in an airtight container. 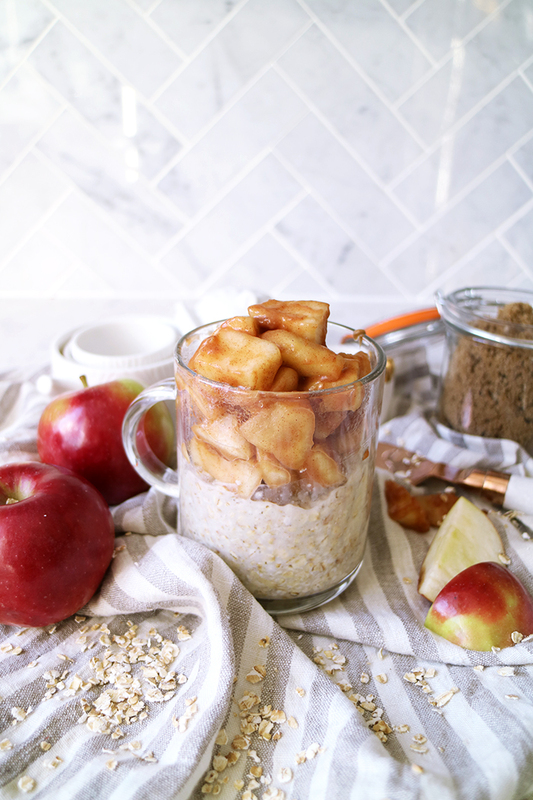 I love pre-filling mason jars with dry oats ahead of time and in the morning all I have to do is pour in milk, add a spoonful of chilled apple pie filling and pop it into the microwave for an easy peasy yet delicious weekday breakfast. I’ve also tried with overnight oats and leaving the apple pie filling chilled, it’s also a great option and very refreshing! Meanwhile I really loved topping my oatmeal with them, many of you have also shared with me via Instagram that it would be lovely to top this over ice-cream! Regardless of how you put this to use, I hope you enjoy it! !